15 members set out from King’s Yard on a perfect day, chilly but with good visibility. We headed northwards along the Attychraan River and through Cooper’s Wood for three kilometres. 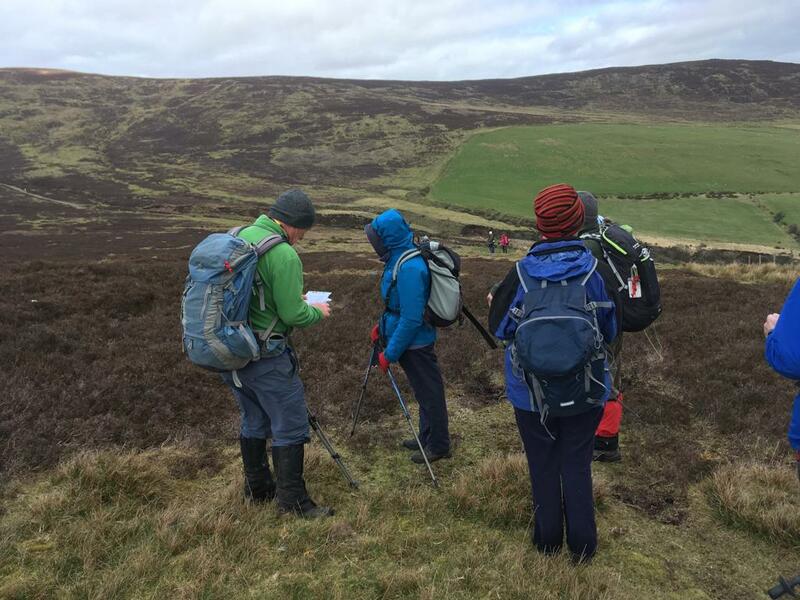 The pace was leisurely, occasionally interrupted by expert translations of local Gaelic names and features – from our own in-house expert! From the Glen, we headed eastwards to meet the Black Road and onwards to Knockeenatoung 601m. 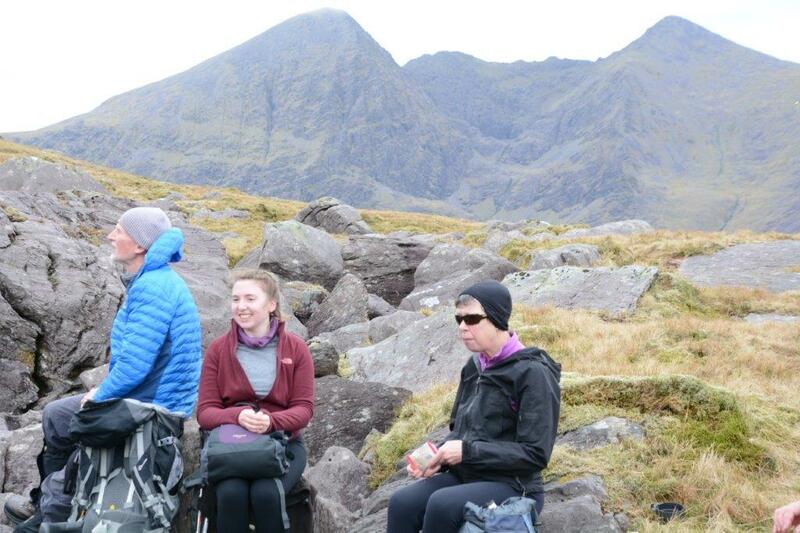 Heading southwards, we enjoyed lunch in a sheltered spot, with distant views of the Knockmealdowns and Comeraghs. 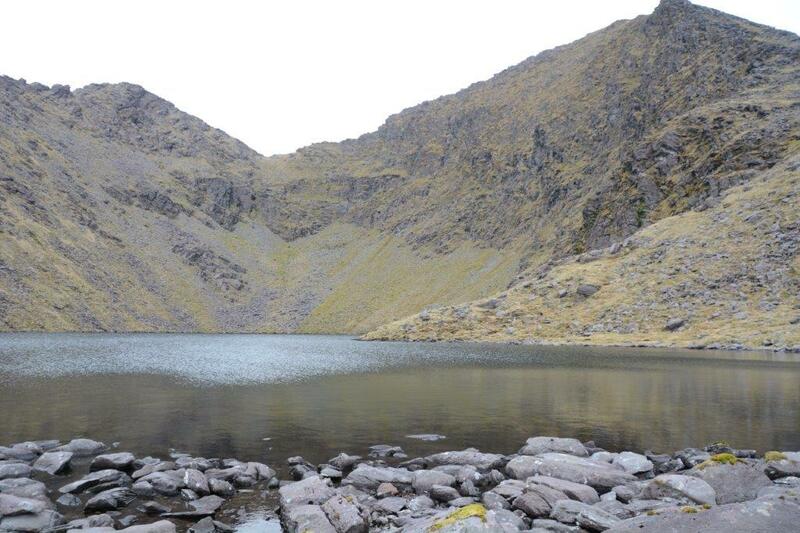 From there, it was a hop, skip and jump to Seefin North 444m and Seefin South 447m, before returning to King’s Yard. 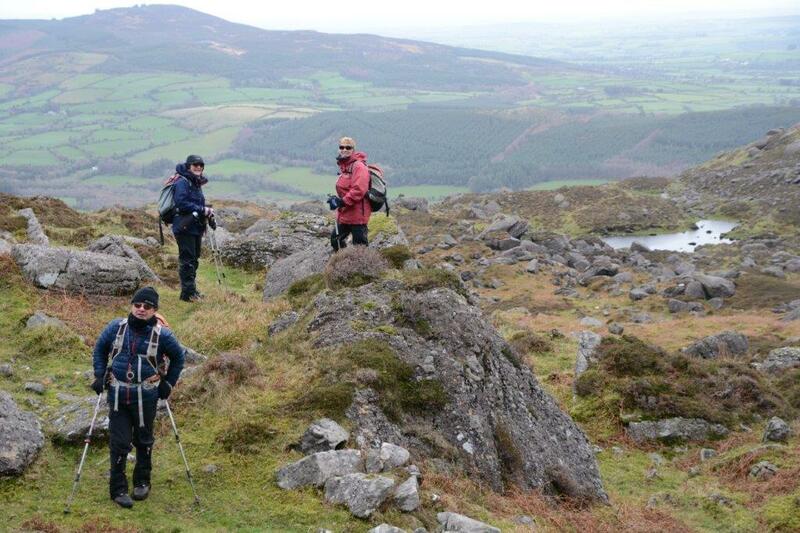 An really excellent walk, with great company. 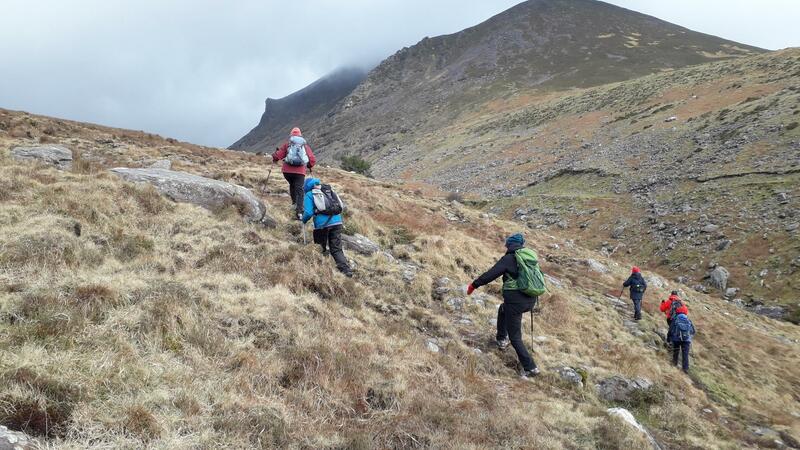 A group of six met in Cronin’s Yard on Sunday the 24th for our walk on the Eastern Reeks. We set out in bright cool weather, ideal walking conditions. Leaving the track into the Hag’s Glen near the first bridge we followed the stream flowing from Loch Cummeenapeasta to the shore of the lake. 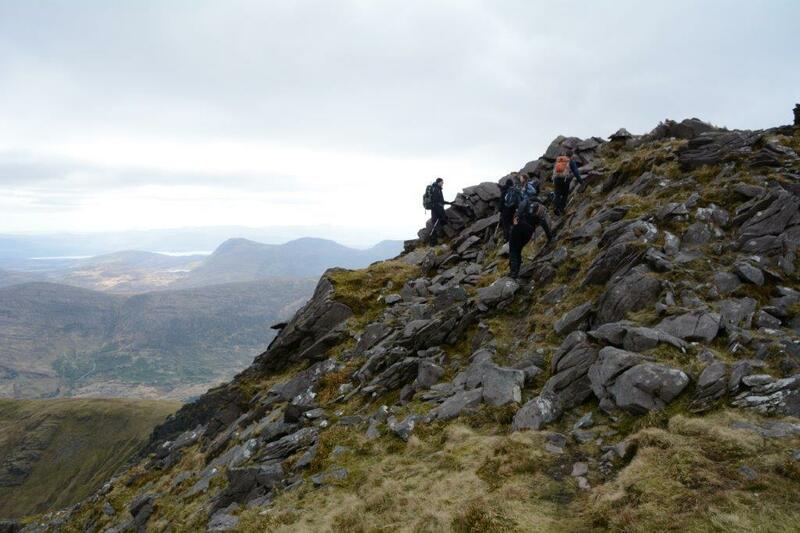 After a brief rest it was onwards and upwards through the boulder fields to Cruach Mhór at 932m. From here we moved carefully along the ridge to the Big Gun at 939Mtrs. 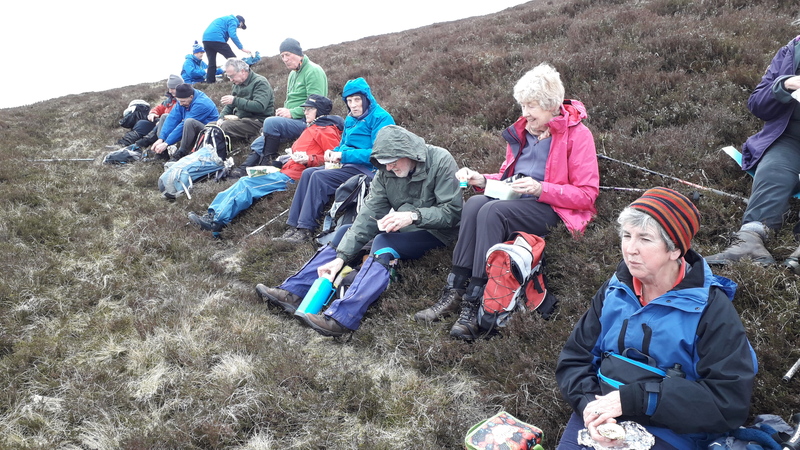 We took a well-earned lunch break at the col before tackling the ridge up to Cnoc na Péiste and on to our last high point Maolán Buí at 973m. before heading down The Bone and our walk out the Hag’s Glen to Cronin’s Yard for a cuppa and chat before heading home. 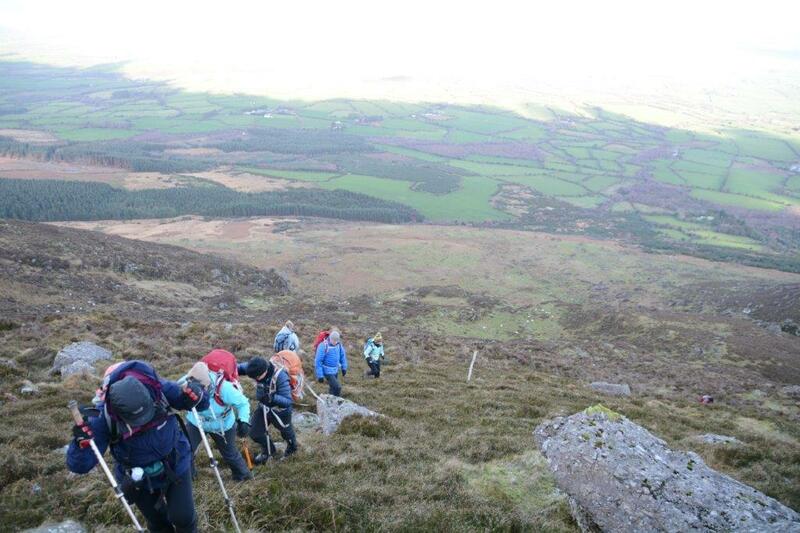 Our group of eight climbed steadily to the magnificent Curraduff coum, home to the two Scillogue Loughs. 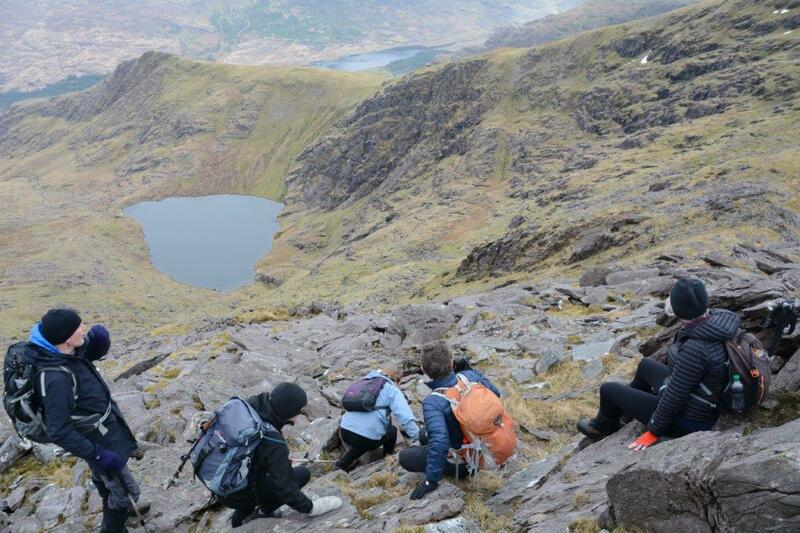 While our friends were having their lunch above the Sean Bhean and her plume of “smoke”, we were enjoying the view from below with ours, followed by a few iterations of exhilarating weather which involved some turning of “tóin le gaoth”. 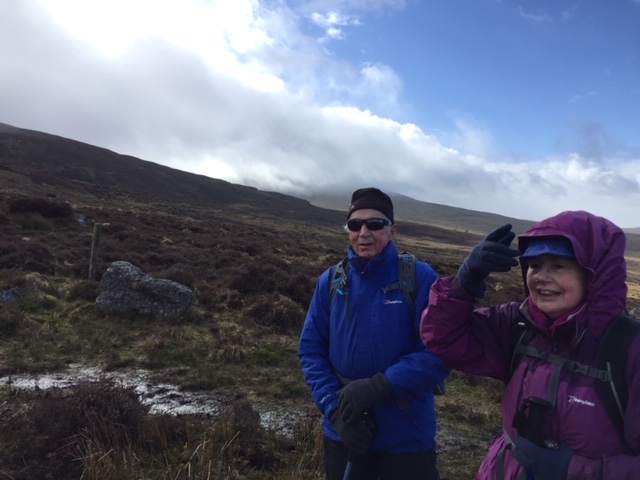 It was a very pleasant route around Coumlara, on to the Gap and back to the cars via Bóithrín na Socraide, then on to Ballymacarbery to meet our friends for coffee and rugby. Just three of us set off from the car park at 10am. The dire weather forecast had obviously put off some of our regulars. 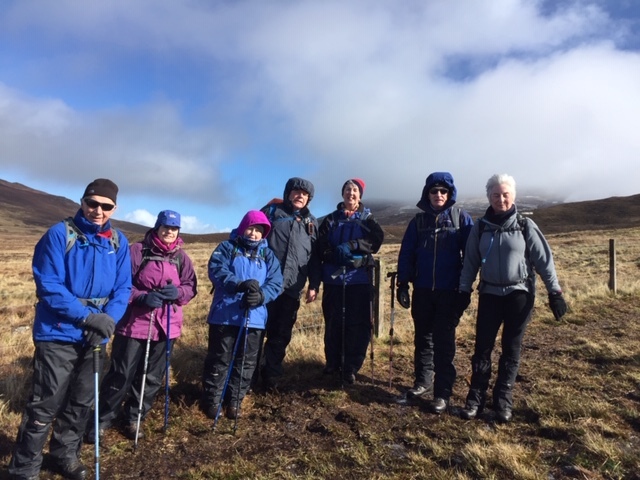 The weather was harsh at times, but was exhilarating with squalls of snow and hailstones followed by blue skies and sunshine. Several iterations of this made for a fascinating circuit. 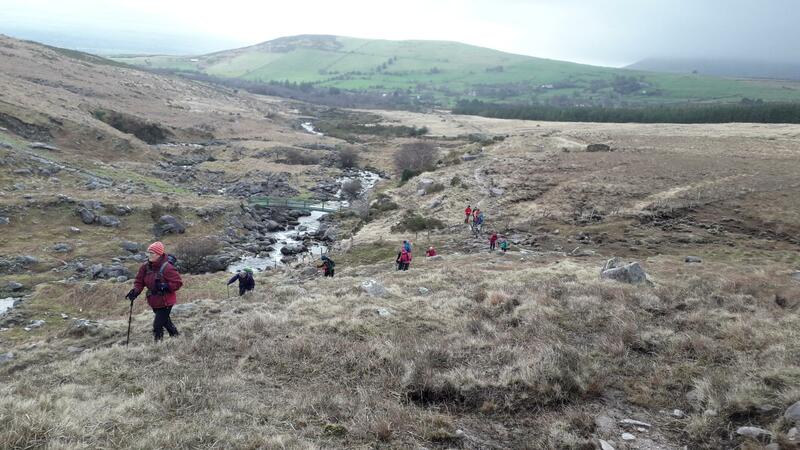 We crossed over the first Nire bridge (in very poor condition) and then to the stepping stones which were only just passable. It’s a good long pull up to the top of Coumfea (711m). 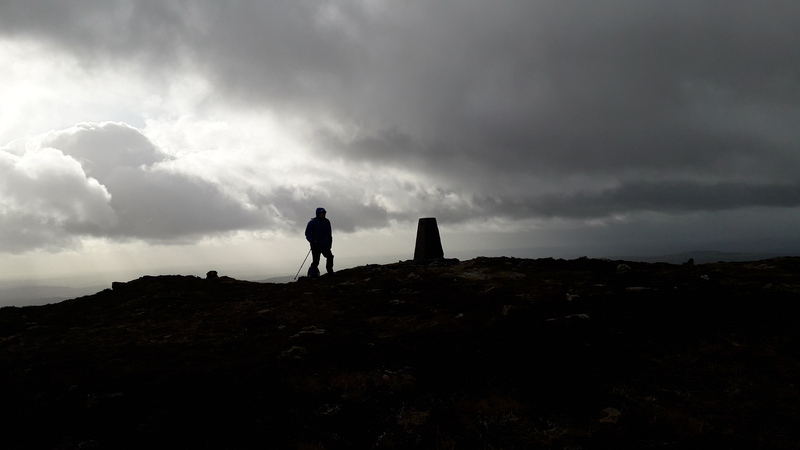 We were buffetted by wind, snow and hail on the way up but it eased at the top and we quickly followed the edge around to the top of the Sgillogues and sought shelter for lunch. After lunch, speeded up to avoid the next squall of hail, we headed over Coumlara. 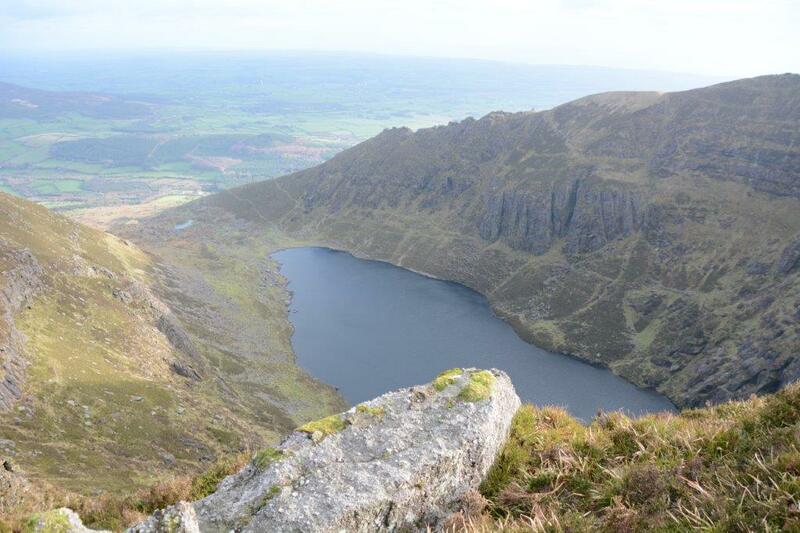 We looked back on our way down and admired the “Sean Bhean ag Caitheamh Tabac” smoking away as is her wont in high winds. 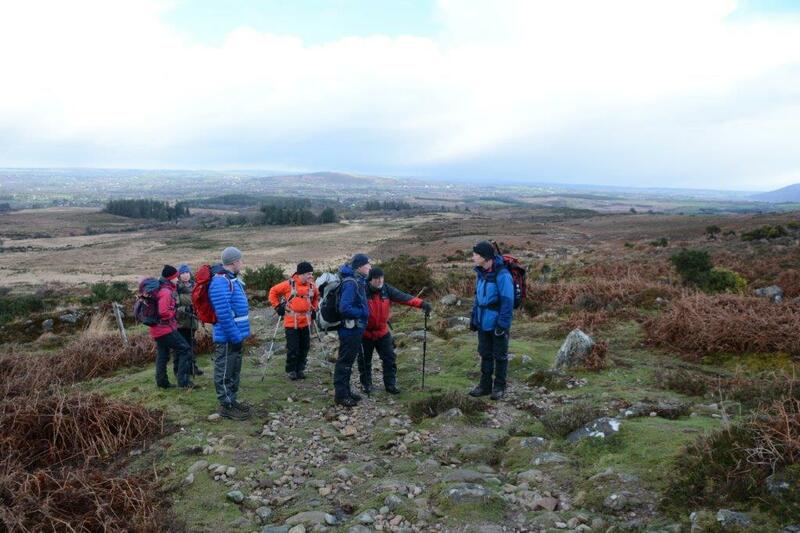 Then it was back to Ballymacarbery for coffee and rugby in the company of our friends from the Scillogue Loughs walk. It’s days like this that keep us coming back for more. 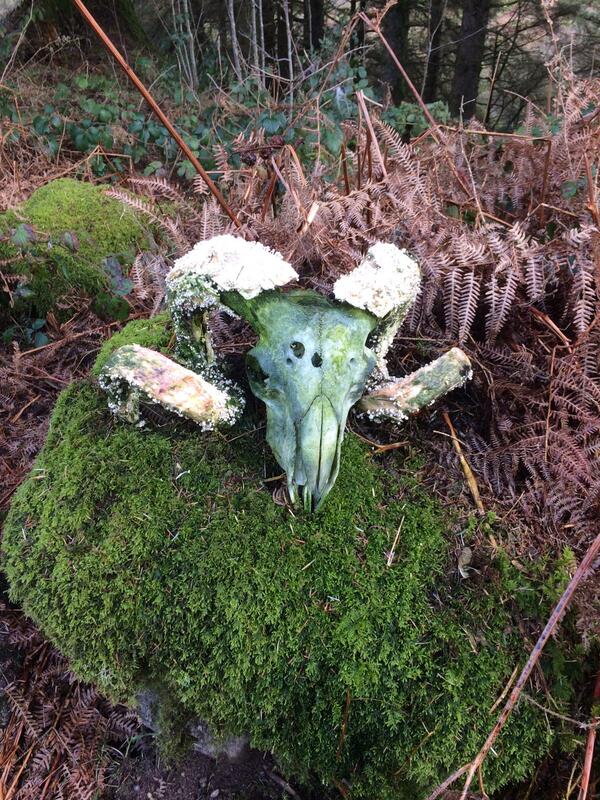 The weather on the top prevented the taking of photos, but we found this character lurking in the undergrowth just after we crossed the river! Twenty members left Cronin’s Yard in very blustery conditions. In spite of the wind, conditions were so mild that they even spotted frogspawn! 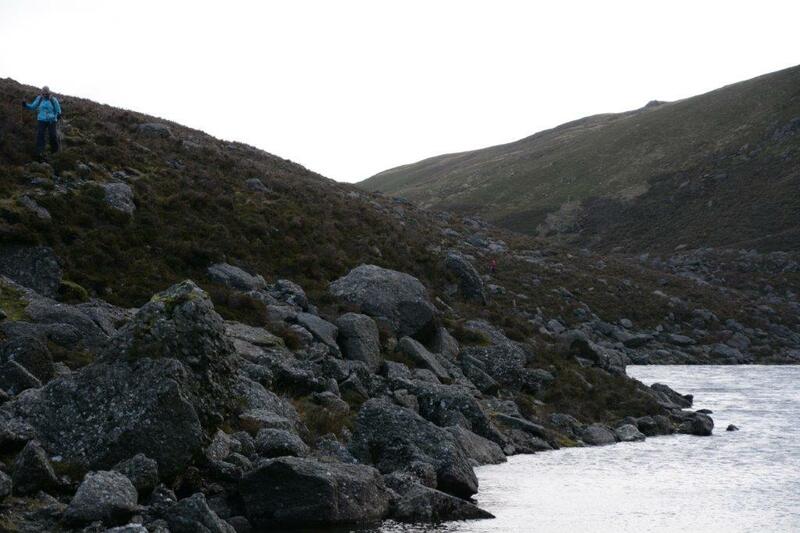 After a leisurely lunch at Loch Caillí, they proceeded to the stepping stones, to cross to the main Hag’s Glen track. 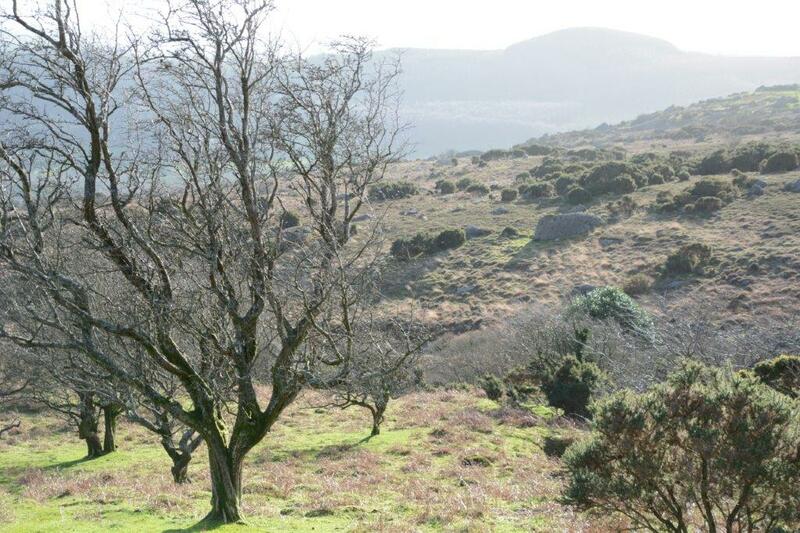 It was a lovely day, with the pleasant surprise of meeting our friends from the O’Shea’s Gully group on the way back. 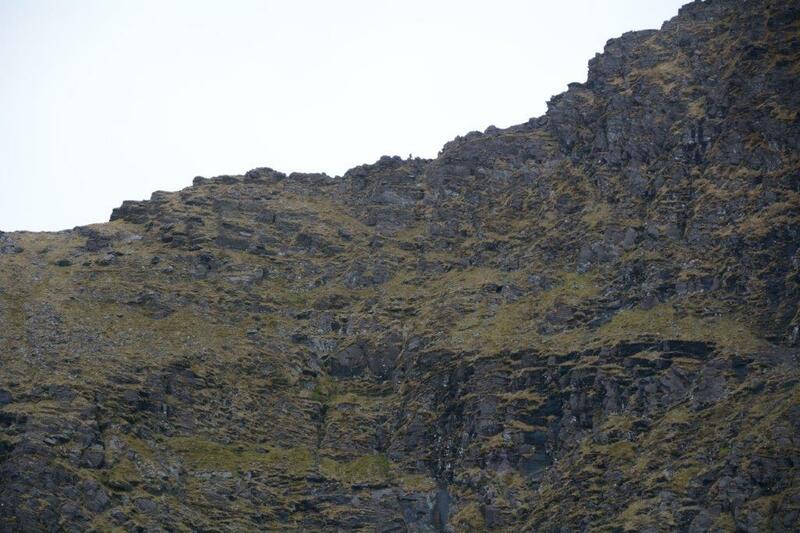 They had taken the safe and sensible decision to reverse their route in the face of strong winds high up. We filled the Cronin’s Yard Tea Rooms to standing room only. Seven set off from Cronin’s Yard in low cloud and very gusty conditions. We picked up our eighth member along the way. 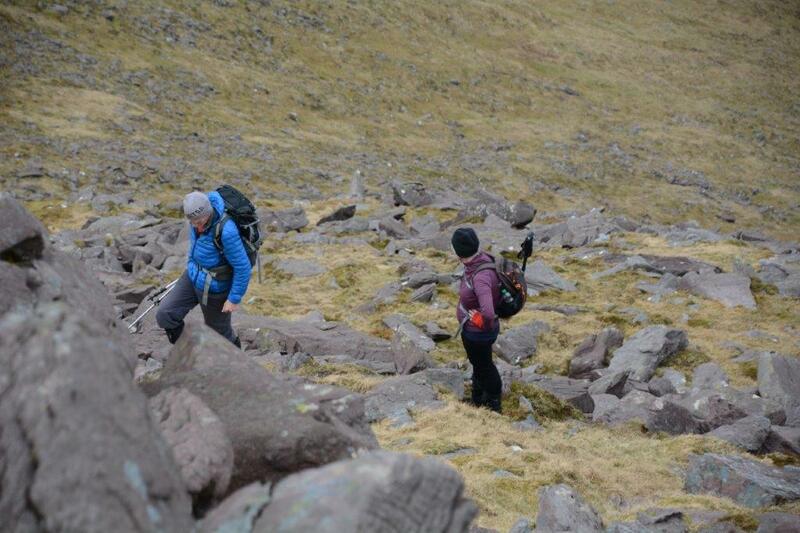 We proceeded through the Hag’s Glen, and began climbing up toward O’Shea’s Gully. 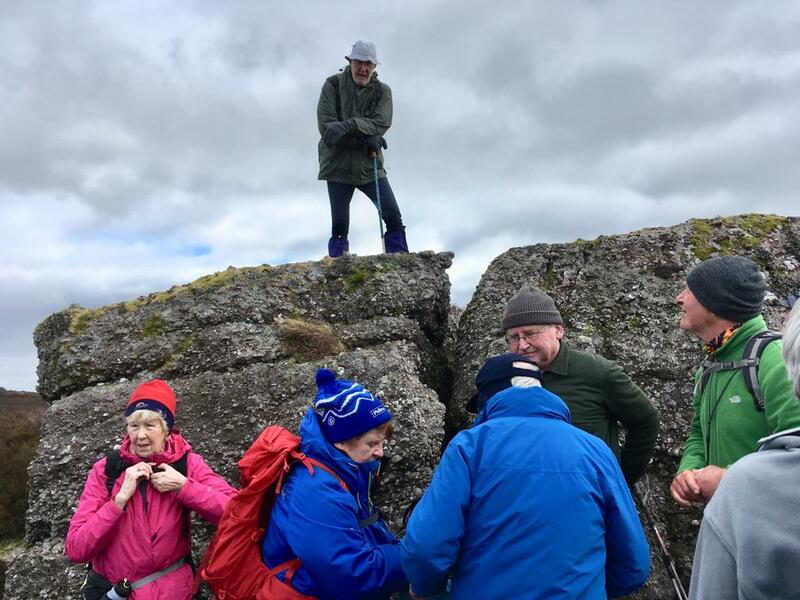 However, by the time we reached the Second Level, just below Loch Coimín Uachtair, it was obvious that the wind speeds were becoming dangerous. So, we reversed direction and headed back. 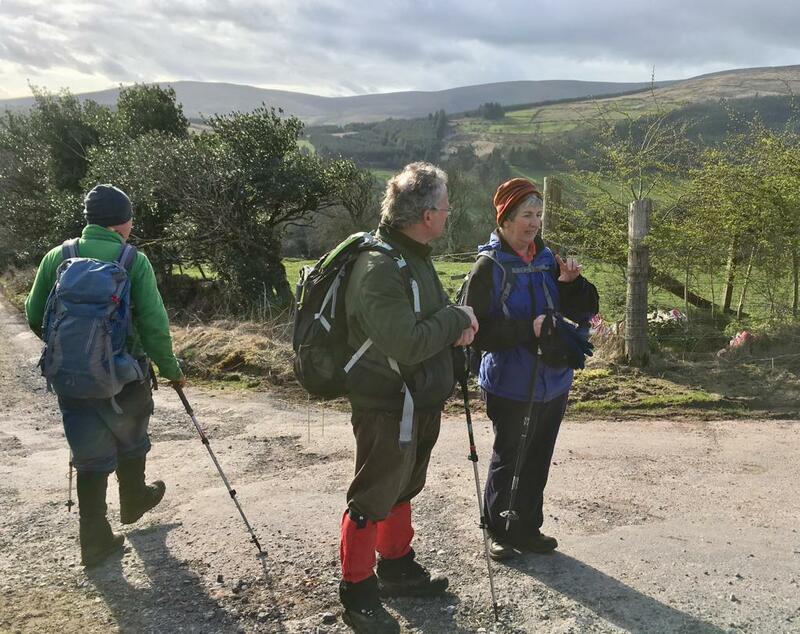 On reaching the main track, we did meet the other CMC group, and accompanied them back to the Cronin’s Yard Tea Room for refreshments. 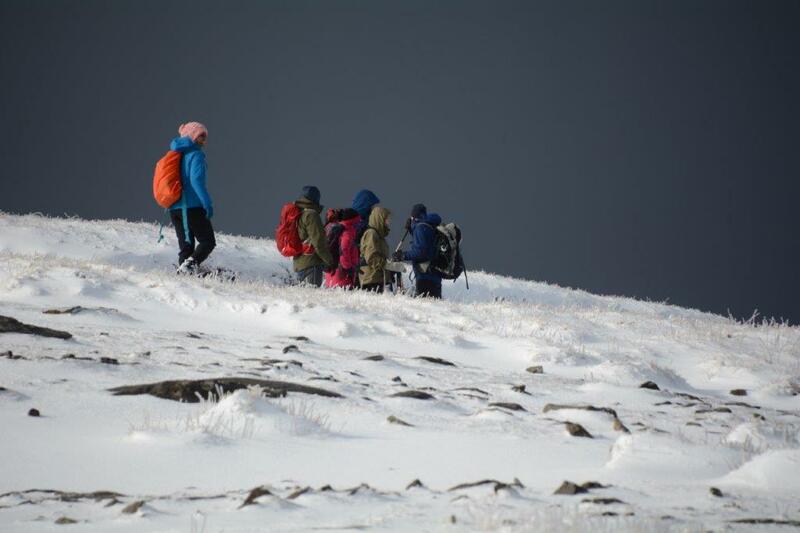 There are no photos of this adventure – they were too busy coping with the elements! 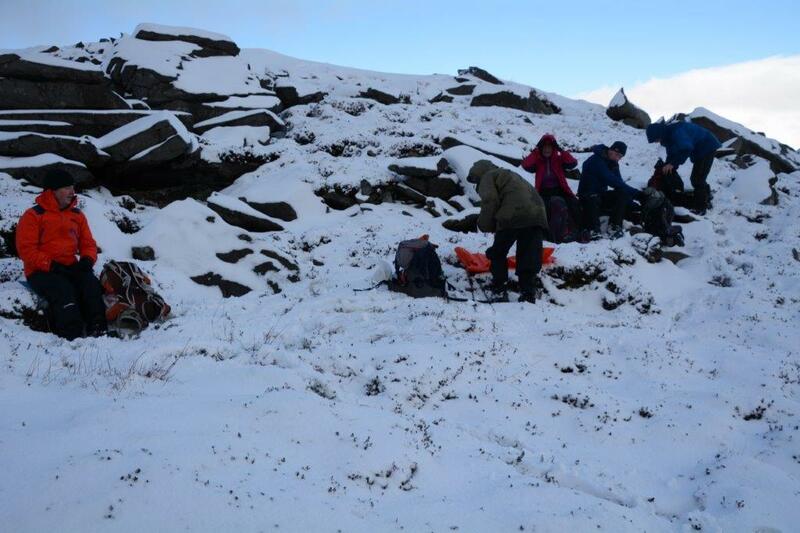 26 of us assembled at the Mangerton Car Park in benign weather with clear skies and an amazing vista of snow cover on the higher ground. Ascending the bridle path to the Punch Bowl we enjoyed the wonderful vista of lakes below and the snow-covered hills above. 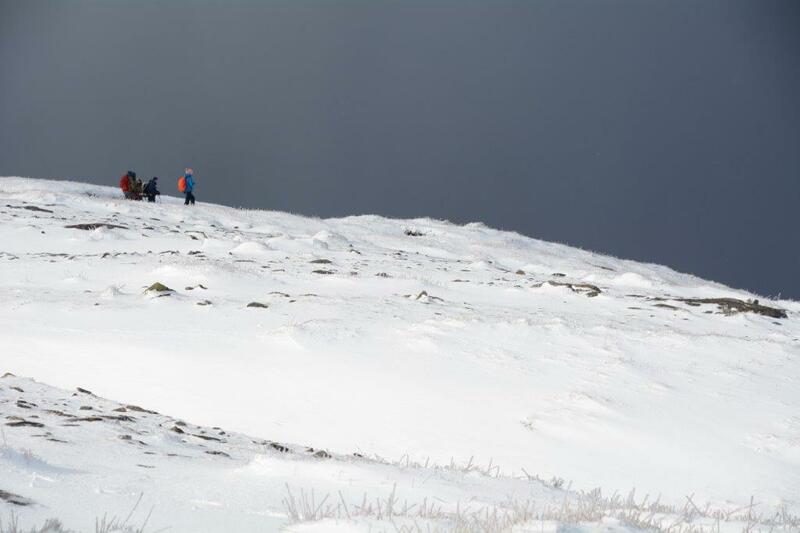 However, when we reached the Punchbowl and hunkered down for lunch, any notion of continuing on to the summit was quickly dispelled when the weather changed to blizzard-like conditions with biting wind chill and darkening clouds to the north. 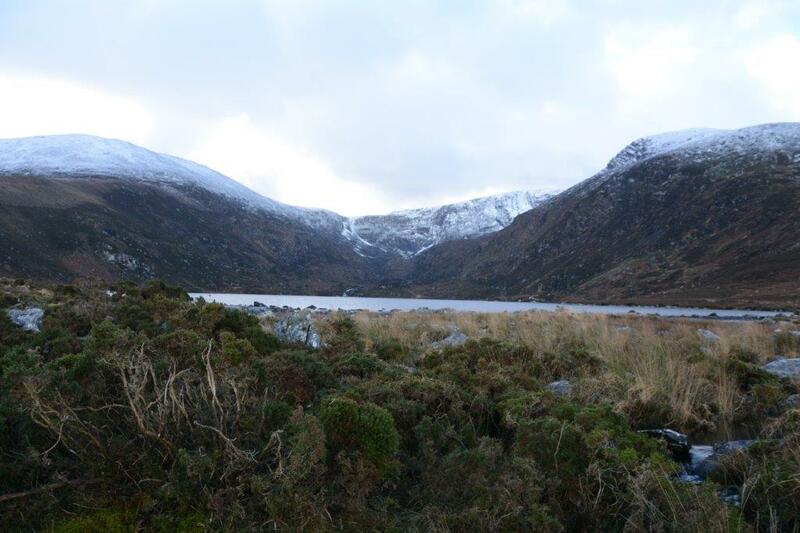 Lunch was as short as we could make it in these conditions so we were soon up and away on our reverse track back down. 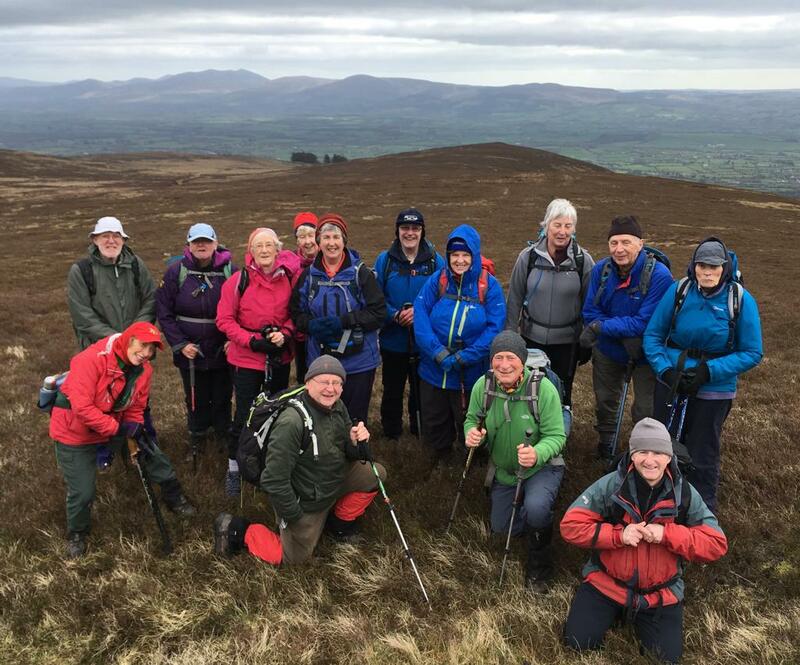 We later joined up with our friends from the Gleann na gCapall group for coffee and a convivial chat at a local hostelry. See our Facebook page for a short video of the adventure! Nine members started promptly from Mangerton Car Park. 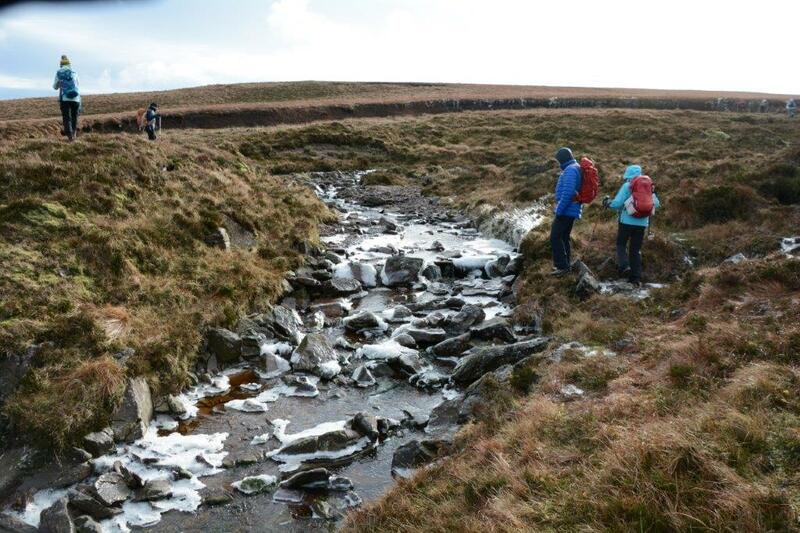 The river crossing was managed without too much dampness (though someone was glad of the spare socks in her pack!) and it was a steady climb to Stoompa. 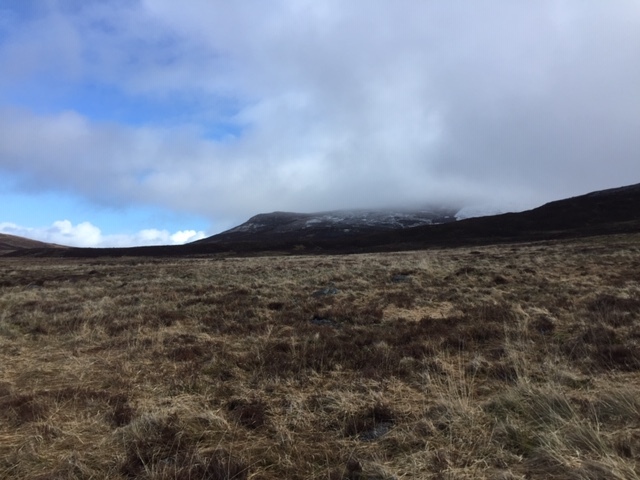 The weather was “a bit wintry alright” but, once past Stoompa, the route was westward and the bad weather was to our backs. There was even sunshine for our lunch! The remainder of the day was a real winter joy, with perfect snow and magnificent views. It was a splendid walk! Fourteen members enjoyed the bright sunshine and clear air, the easy walking over dry ground, the magnificent views and the cheerful company. Even if we did get a mini-blizzard for a grand finale, nobody cared by then! 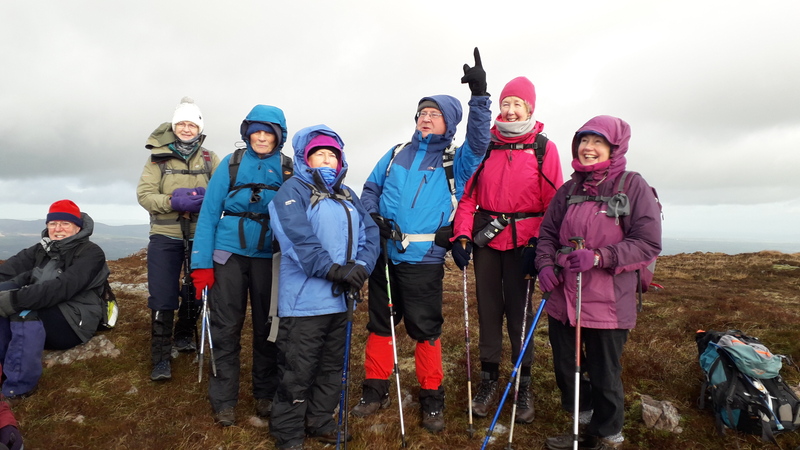 Everyone contributed to the success of the day – reassuring GPS readings, inspirational route choices and local knowledge and logainmneacha. 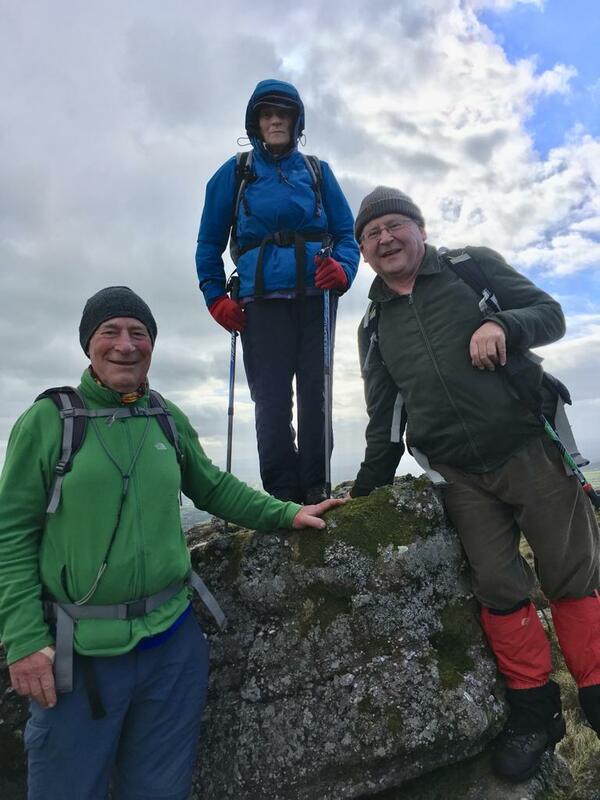 We took the high route from Crow Hill car park (the highest pass in the western Knockmealdowns) over Knockshanahullion (652m) to Knocknalougha (630m) from where we tried to see down into Baylough. 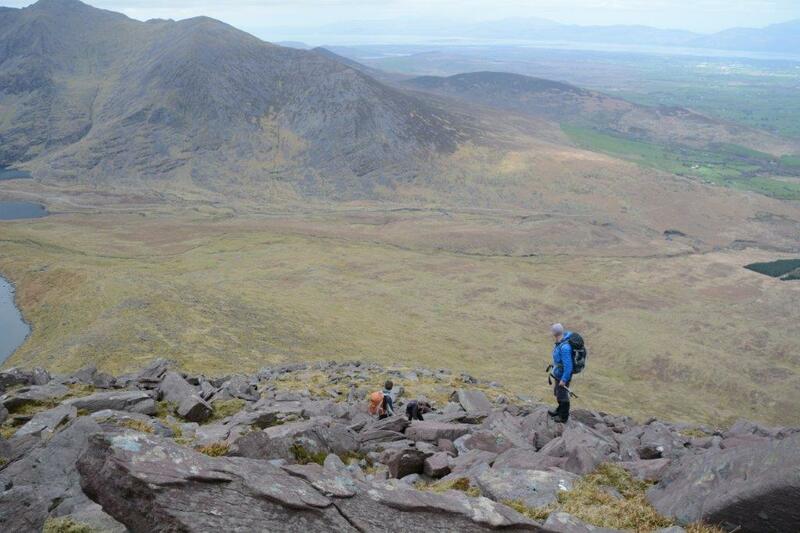 We stayed high for our return, back to the col at Spot Height 551, before descending to pick up the Avondhu Way. 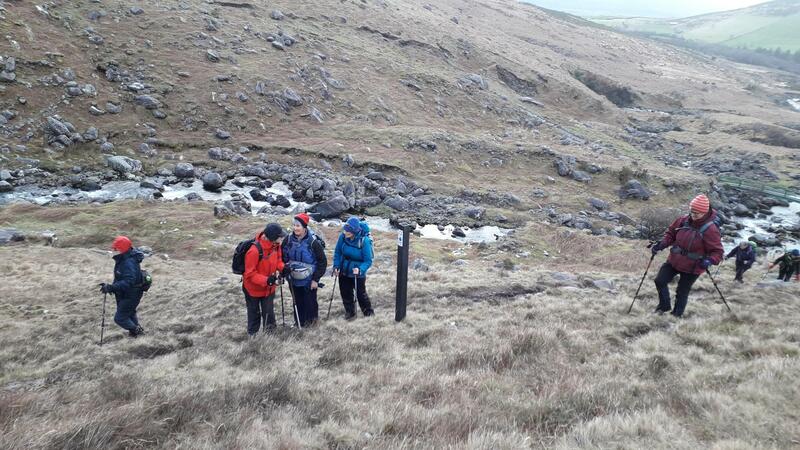 A short, sharp climb over Knockclugga took us to within sight of our cars. 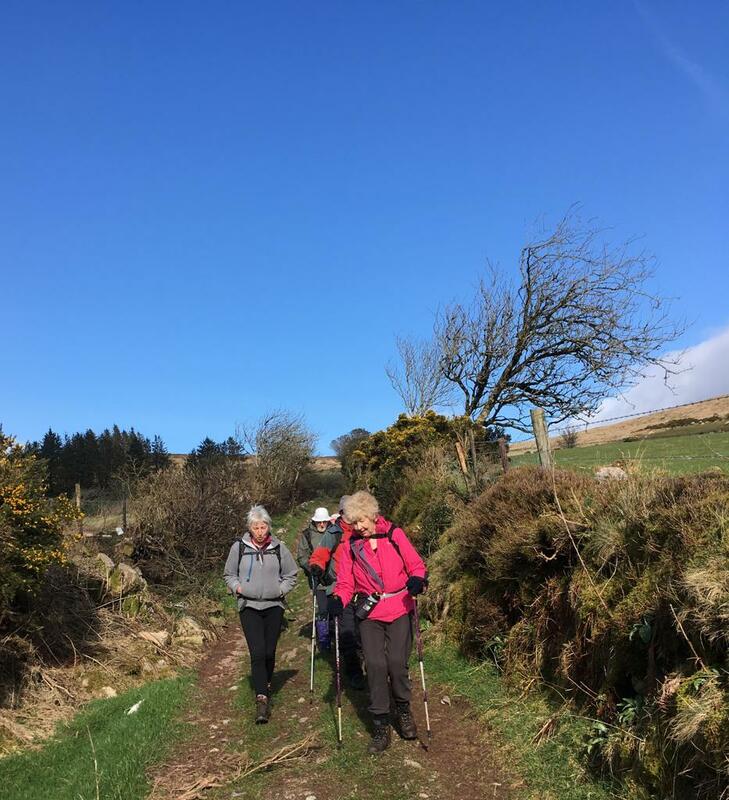 It was a perfect day for walking, bright sunshine and a cool 4 degrees at the Kilclooney car park. A blustery wind added to the day as strong gusts chased the remaining leaves around the ground. Ten of us headed out for Crotty’s Lake. It was a day for admiring the scenery – so bright and clear. 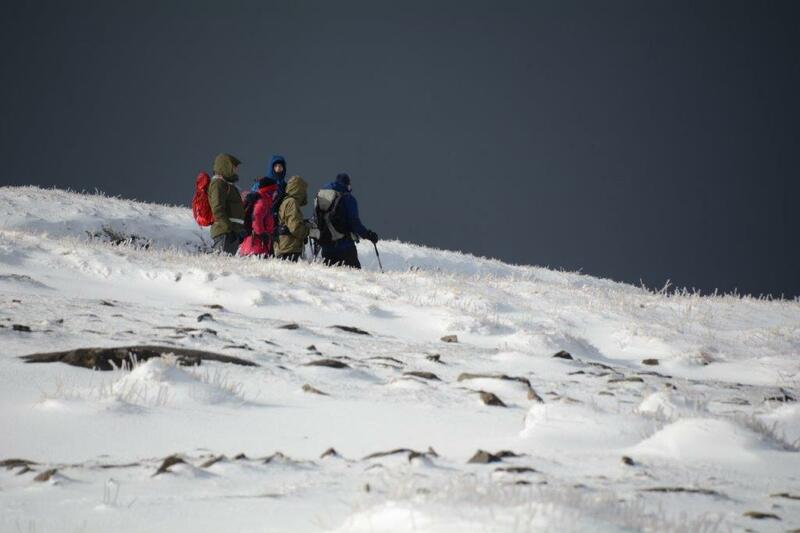 As we reached the top of the ridge overlooking Crotty’s Lake we felt the full force of the wind and struggled to keep from blowing over, but were well sheltered down at the lake. 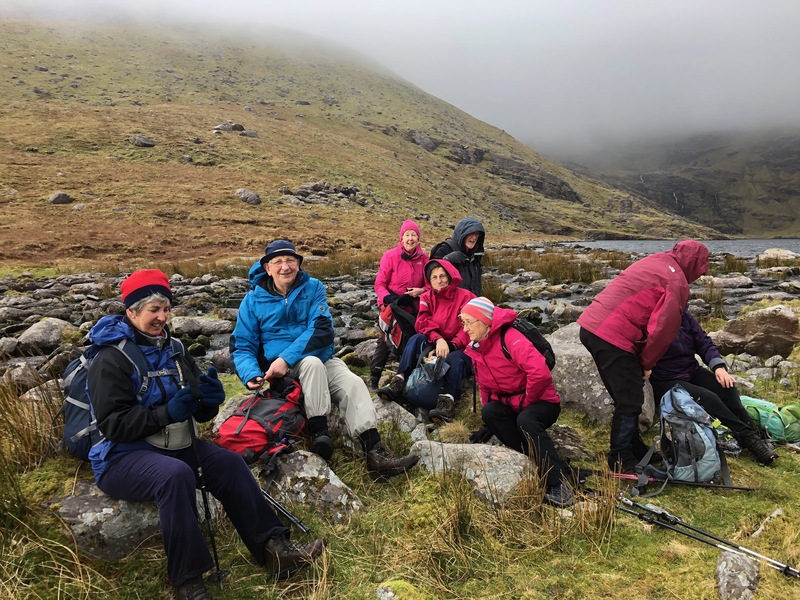 We had lunch just under Mr. Crotty’s old ‘holiday home’ and, well refuelled, took on the steep climb to the top of the Coomshingaun circuit. 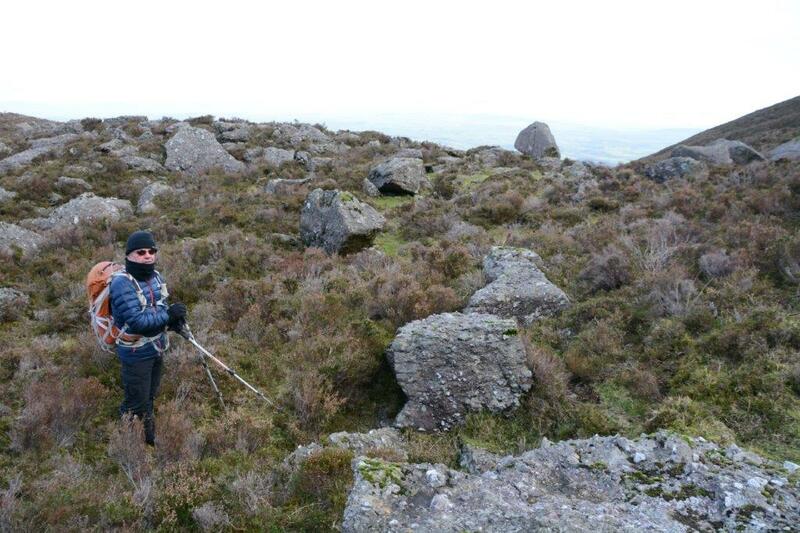 The wind had died down quite a bit at this stage and we made our way back eastwards to the car park.